Coffee Filters Made Frightfully Fun! When it comes to crafting with the kids, there are a few key elements that make for a great project. You want something that’s quick, simple and clever with affordable materials – bonus points if you can get it done with things you already have around the house. This is where that jumbo pack of 1,000 coffee filters comes in handy. 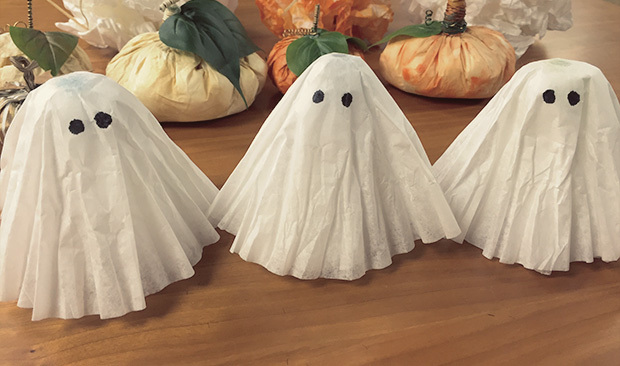 We found some spook-tacular Halloween crafting ideas using filters and just a few other inexpensive materials. Bet you never knew just how creative you could get with them! 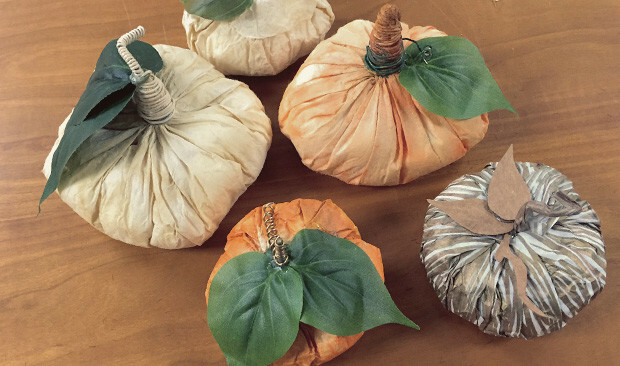 You may want fresh filters for these projects, but you can also re-purpose old ones. If not, there are plenty of creative ways to recycle the used ones. Add them to the compost bin or polish up your brown shoes. You’ll be saving a few bucks and doing something for the environment in the process. 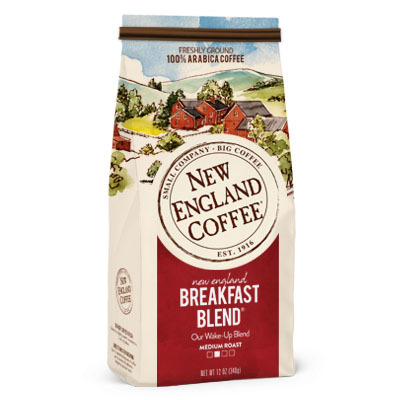 Pour yourself a cup of your favorite New England Coffee and relax for some quality crafty time. These projects will have your house Halloween-ready in no time. 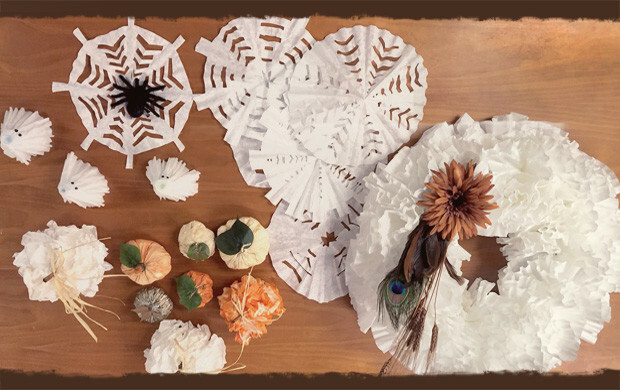 This project can be done with just filters, a wreath form and a hot glue gun. 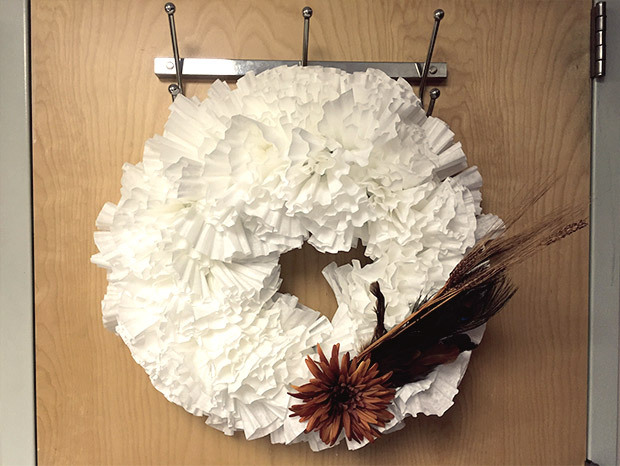 Quick note: make a loop out of wire and wrap around the foam wreath, this will make it easy to hang the wreath upon completion. Pinch each filter at the center and then affix it to the wreath form with your hot glue. Be sure to attach the filters as close together as possible. Start at the inside and work your way to the outside, but be sure to leave the back flat. Finish things off by attaching some silk flowers and dried wheat stalks for an extra festive touch. 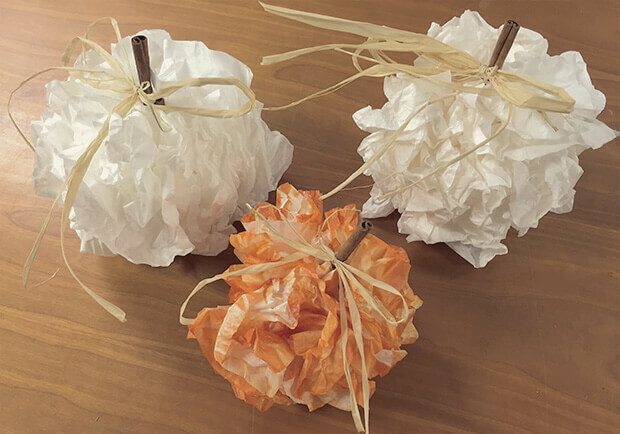 This craft can double as a decoration and a Halloween party favor. Using a round lollipop, glue the top to the center of the filter and then glue one or two more filters on top of that. Smooth down the filters over the pop until it stands up on its own. Add some eyes with a Sharpie pen and… BOO!! This might be the easiest of all, involving nothing but filters and a pair of scissors. Fold the filter in half and then in half again, and start cutting! The easiest design is to cut a series of “V”s down the folded side of the filters. 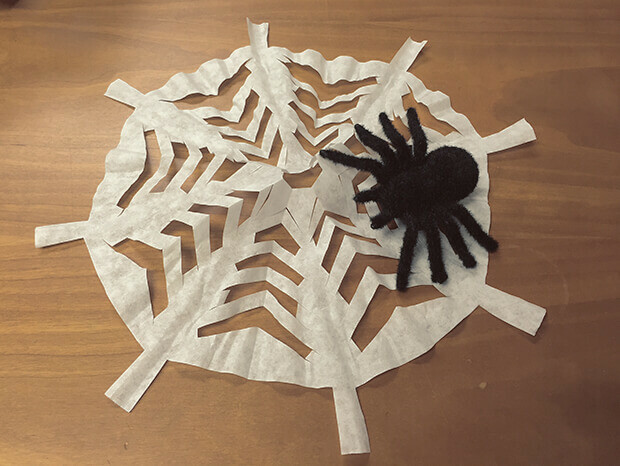 Add a spider to make it extra spooky. Take a filter and wrap it around some cotton balls. Baste stitch the top with a needle and thread and pull it closed around the cotton balls. Spray paint with your desired color. Finish by gluing a twig in the center. Using three filters at a time, ball them up and staple the centers together. Make about five for each pumpkin. Glue the filters to a cinnamon stick. Tie on some raffia for an added touch of cuteness.